← When are clothes too expensive? If you can never find what you want when looking for sewing patterns, maybe it’s time to have a go at pattern cutting and design your own! Pattern cutting is a valuable and useful skill which will enable you to draft patterns to your own measurements. No more tweaking and fiddling around with bought patterns to get them to fit. The first course starts with skirts. There will be no more than 4 people on this course so you will get lots of help and guidance. 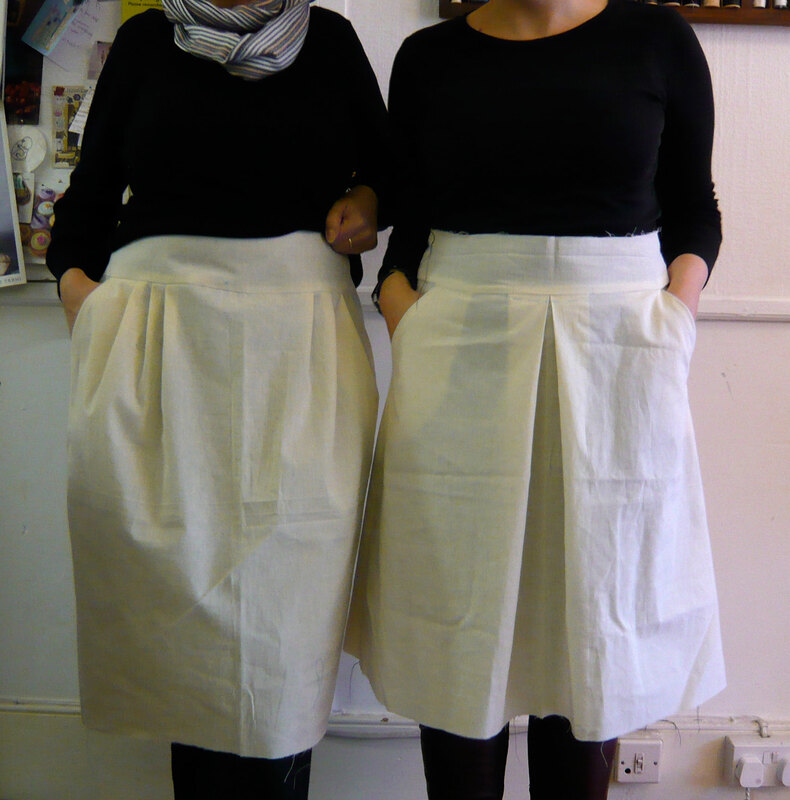 make a skirt pattern and toile from your own design. NOTE – this course teaches flat pattern cutting techniques, not draping on the stand. To book your place contact Wendy by email: miyworkshop[at]gmail.com or ring: 01273 693451 or 775951. This entry was posted in Pattern cutting, Weekly classes and tagged design your own clothes, MIY Workshop, pattern cutting class, pattern cutting course, Wendy Ward. Bookmark the permalink.